AfterSwim is a new approach to drying the ear canal. Now you can remove water from clogged ears in an effort to prevent swimmer’s ear (Otitis Externa) or bacteria buildup. No other product on the market can physically remove water from an ear so quickly! 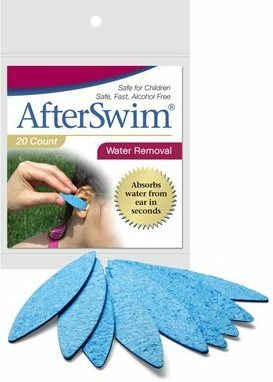 AfterSwim is safer & more effective vs. cotton swabs, more thorough & cleaner than alcohol drops, plus faster & less abrasive compared to air dryers for ears.